Apple began taking the online stores down across the world in preparation for the launch of iPad Air set on November 1. Australia is set to be the first country in the whole world to see them. With reports indicating that supplies will be plentiful, Australian Apple online store listed all iPad Air models (only Wi-Fi models) as shipping within 24 hours. iPad Airs started arriving at Apple stores as well as other retail stores in Australia. Business discounts were provided for the new device on the first day of launch which was not the case in the previous years. Australian iPad air reviews have been virtually entirely positive. It features all new and slimmed down design. 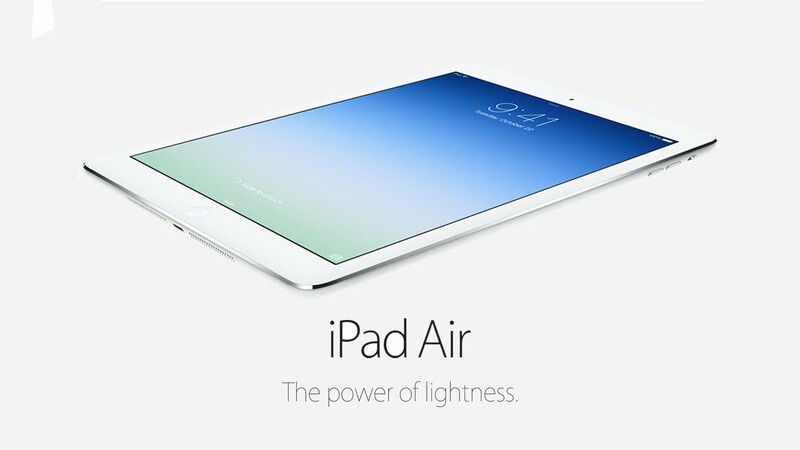 The iPad Air is beautifully light that you can handle it in one hand. It is 28% lighter and 20% thinner than the previous 4th generation iPad. This makes it an impressive 454 grams in weight. Most noticeable is that its bezels are much narrower. Apple claims that the bezels are 48% thinner than those on previous models. It has notable hardware upgrade like its 64 bit apple A7 processor chip that debuted in iPhone 5S, providing the smoothest iPad experience ever. iPad Air supports LTE (4G) networks with nano sim card and 5 megapixel rear camera with noise cancelling microphone is better for voice and video chat. FaceTime HD camera has 1.2 megapixel resolution, face detection, geo tagging and lots of other cool features. The rather squarer edges make the iPad Air easier to handle. The iOS 7 fits perfectly into the larger and more pixel-dense screen with the color schemes adding to the overall feel of the package. However, the downside is the vibrations. When audio is turned up to full while playing music or video, the iPad Air shakes subtly, nearly throbbing during the loud moments. There is also no Touch ID present in the new tablet even with it being present in the iPhone 5S. The 16GB Wi-Fi Air will cost $598, 32GB version is $699, 64GB version costs $799 and the 128GB will be priced at $899. Also 3G+Wi-Fi versions in the same sizes cost $749, $849, $949 and $1049 respectively. Overall, new iPad Air is not just another pad with same specification or features. It has lot more to offer and it’s worth to upgrade.